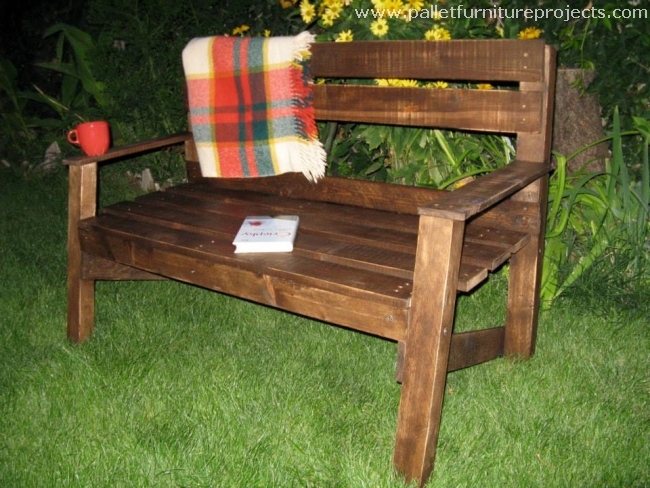 Whenever we talk about a garden or an extensive green landscape, the very first thing that comes to our mind after the plants and flowers are wooden benches. They have a strange affiliation with outdoor spaces. May be they were designed in such a manner to make a perfect sitting remedy in outdoor places. 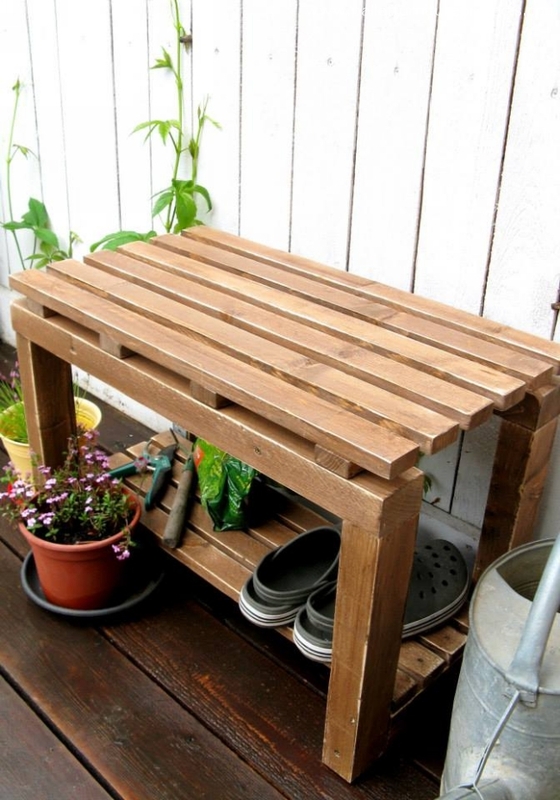 So if you have a huge garden then these wooden pallet benches are a must have for you. 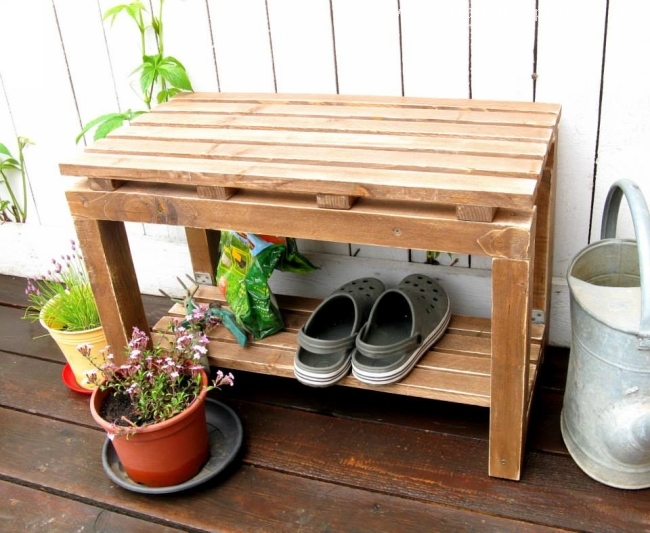 Instead of going to the market, have a look on these couple of wooden pallet bench inspiration and grasp the basic structural idea. Ok, so we are going to get started from here. 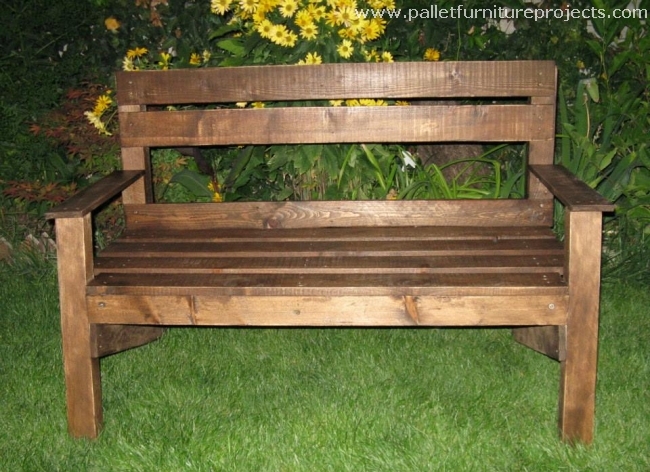 We are going to have distant looks on this wooden pallet bench from different angles. 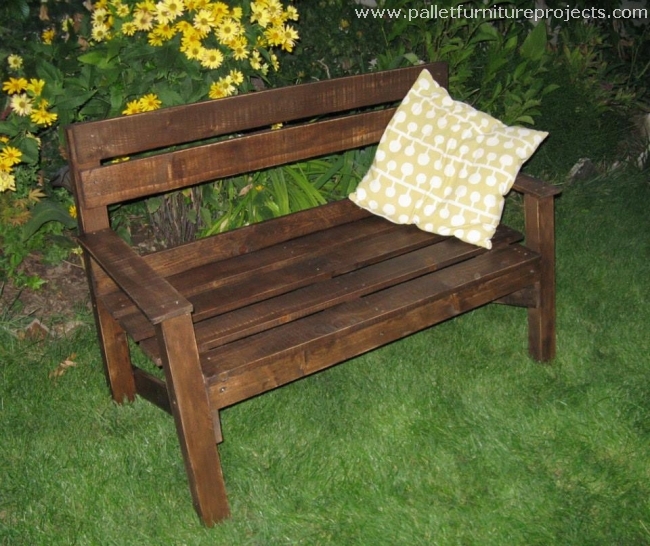 And we would be discussing the pattern that is followed and the used that can be made out of this wood pallet repurposed bench. 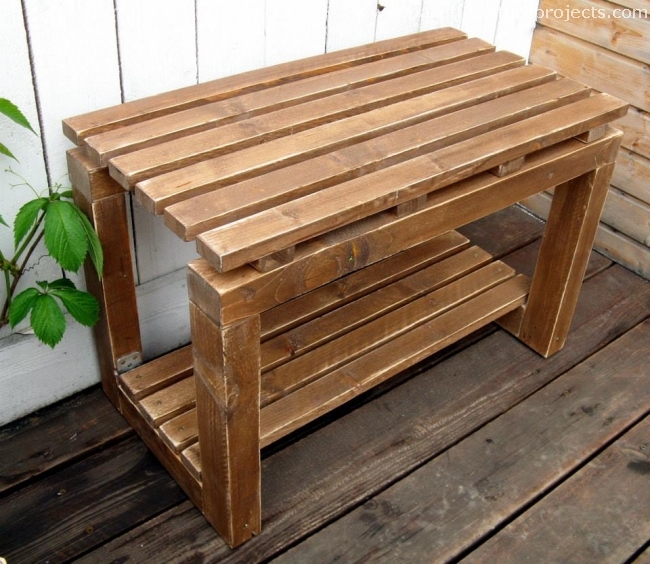 First of all, we must talk about the shipping pallets that are used in making this wooden bench. They look quite fresh and deem to be grabbed from some mega store downtown against some minor bucks. This was done to ensure the optics of the said bench. This really proved to be a wise decision. 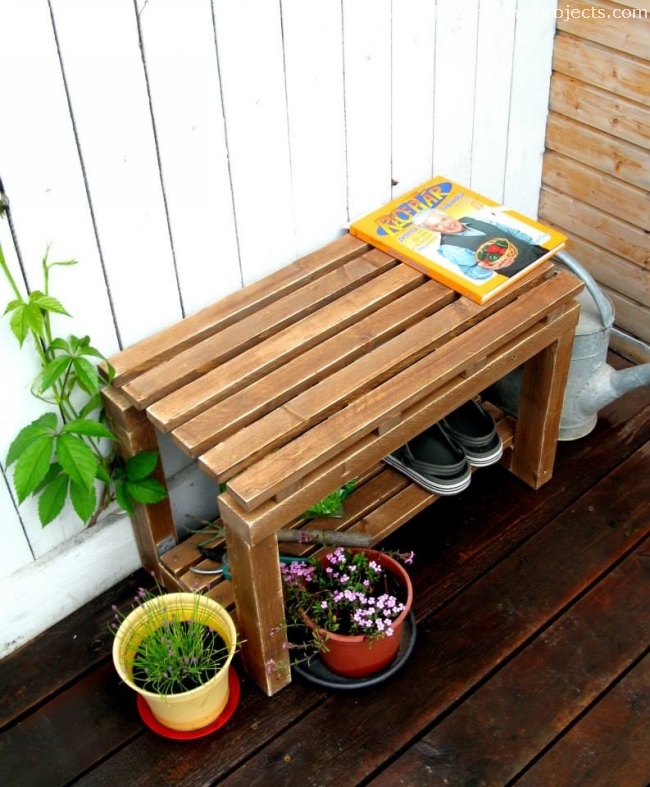 Now talk a bit about the structure of the pallet wood up cycled bench. We use some plane and straight wood pallet planks on the top of the bench. 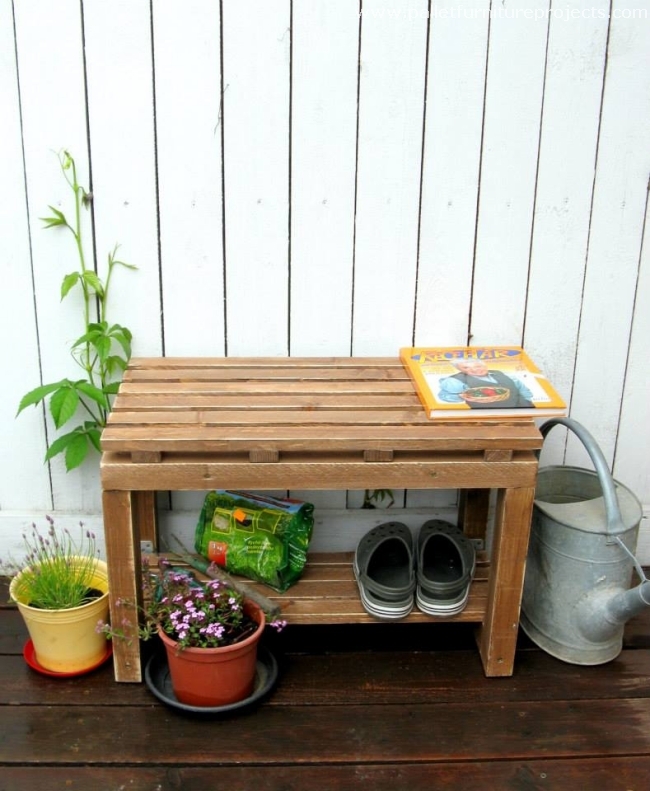 We actually made it a multi tiered wooden pallet bench so that the lower portion could be used as a storage hack just the way we used it here as a shoe rack. And lastly we left it pretty unstained with a view to make it look like a perfect outdoor furniture item. The plane top of the bench would allow us to use it as a mere wooden table where we can place a book or a cup of coffee. 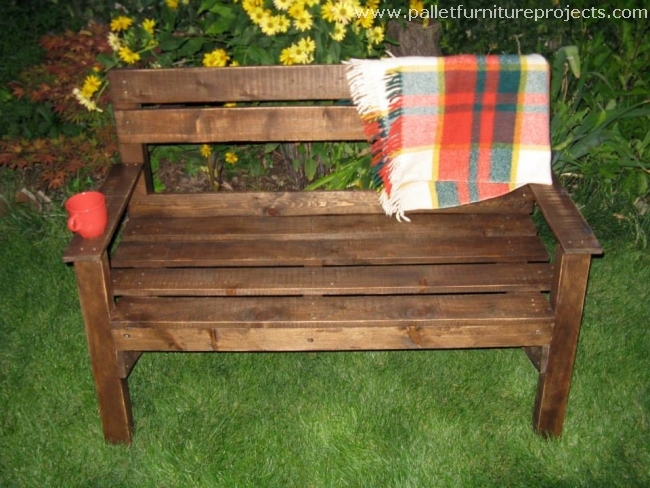 This is another pallet wood re cycled bench perfectly made for the garden or other outdoor spaces. This specific shape is so damn common that we can witness it in most of public places. It has got so many potential advantages. A few of those advantages can be listed as it has got a pretty casual shape which would render you by default a strange feeling of excitement and calmness. While the sleek armrests are a complementary support to comfort the longer sitting spells that you make on it. While making it with the wood pallet, another obvious advantage is its simplest structure which would require smaller amount of timber. In this way, it would save your time and shipping pallets as well. So that you can use them in some other pallet wood project. Now let’s talk about the condition of wood pallets that are used here. 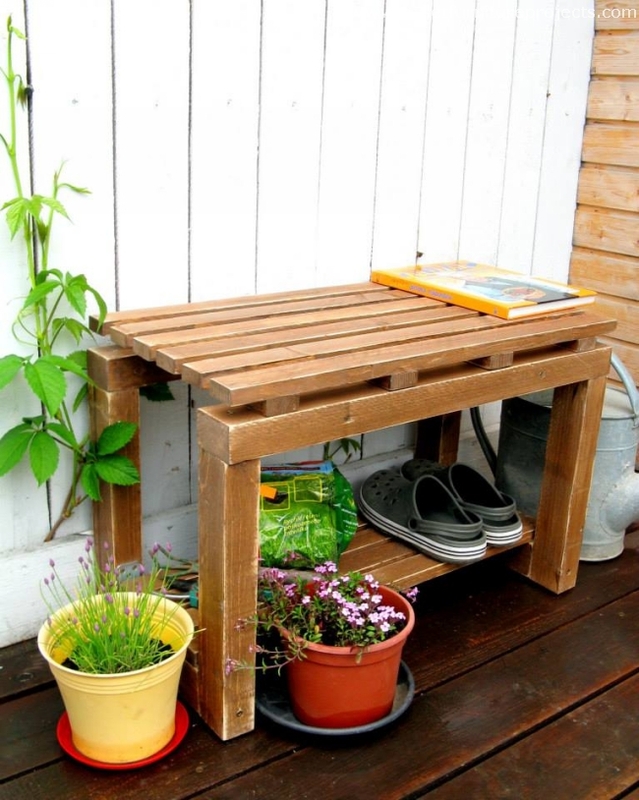 I think the most broken and deteriorated shipping pallets that were apparently of no use anymore, those very shipping pallets are put to use in the shape of this wood pallet repurposed outdoor bench. Still it made a perfect outdoor furniture item.